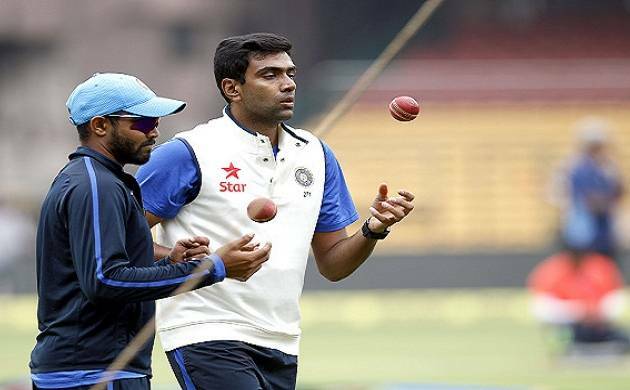 India's leading spinners Ravichandran Ashwin and Ravindra Jadeja held onto the top two slots in the ICC's latest Test ranking for bowlers while skipper Virat Kohli was at the second place behind Steve Smith in batsmen's list. South African Kagiso Rabada was another big gainer as he jumped nine spots to be eighth on the list. The only other Indian in the top-20 is speedster Mohammed Shami, who is in 19th position. In the batsmen's list, Steve Smith is still atop the list with 933 points even though he dropped for ranking points. However, Indian captain Kohli is a distant second with 875 points. There is no other Indian batsman in the Top-10 while Cheteshwar Pujara and Ajinkya Rahane are 12th and 16th respectively.